Gross motor time in the gym or on the playground. 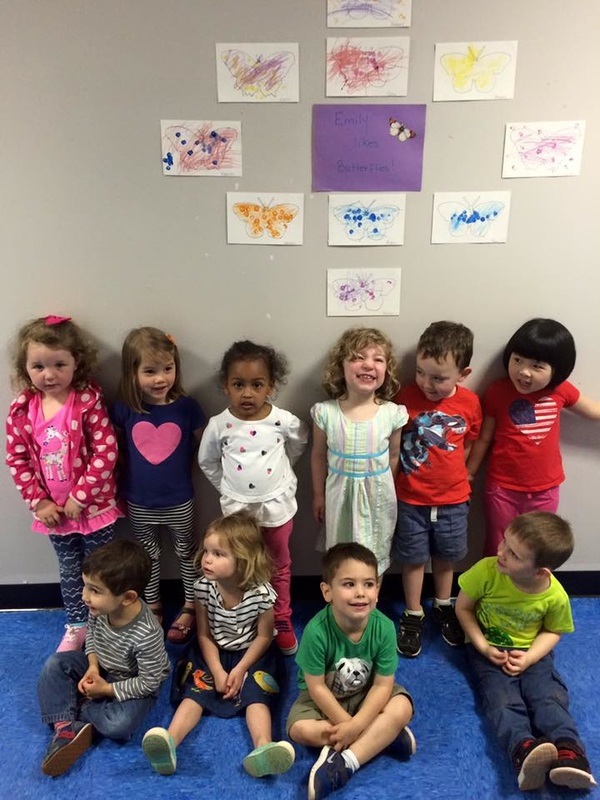 The two year old classes share this time playing with one another and the teachers in our fully equipped gym and playground. Circle Time and Centers: The children sit as a group to discuss theme, listen to stories, and introduce color, shape, letter, and number concepts. They then explore in centers which include sensory play, block building, process art, home living, and manipulative exploration. 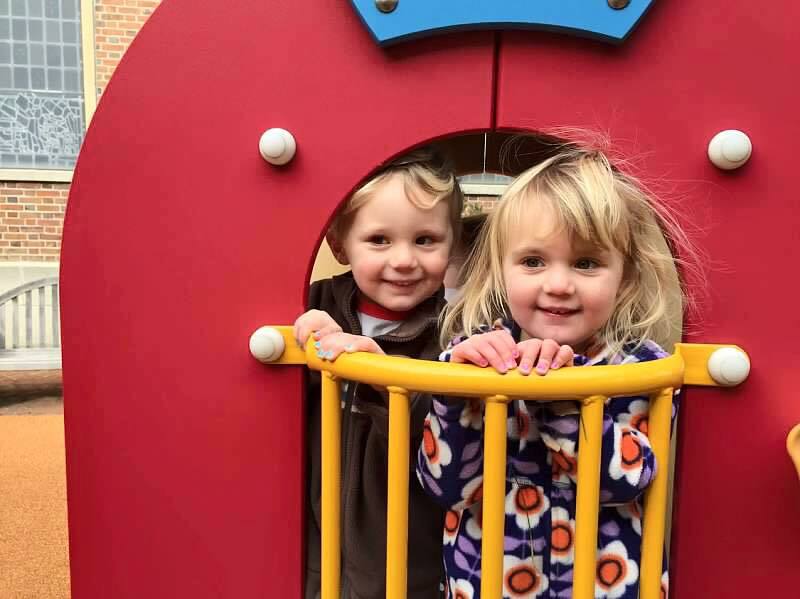 Additional gross motor development opportunities at the gym or playground are provided for children to interact with one another and teachers. Music and movement: Children use rhythm sticks, other instruments, and bean bags to sing and dance This time is also used for structured activities and games to enhance the children's skills in listening and following directions.